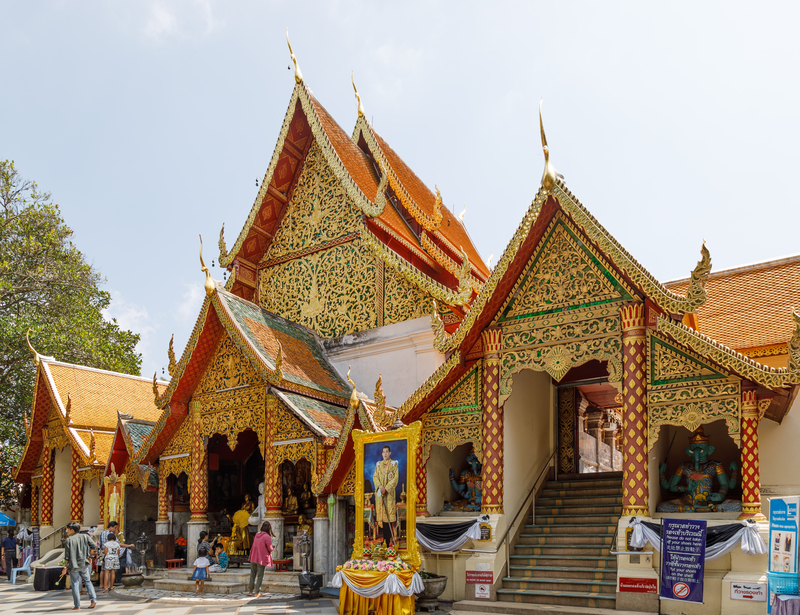 Climb the 309 steps up to Wat Phra That Doi Suthep, a sacred Buddhist temple set on top of a mountain overlooking Chiang Mai. 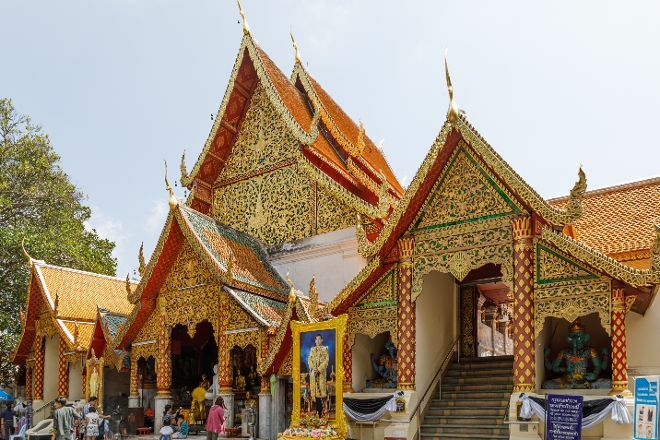 Take in extensive views of the city below before admiring the impressive artistry of the temple's main buildings and decorative flourishes. Said to have been established in the late 14th century, this well-maintained place of worship remains the subject of many myths and legends, with the truth of its construction and development still a mystery. The evocative design and enigmatic heritage create a powerful atmosphere in the secluded mountaintop location. If you'd rather skip the stairs, take advantage of the efficient tram service. 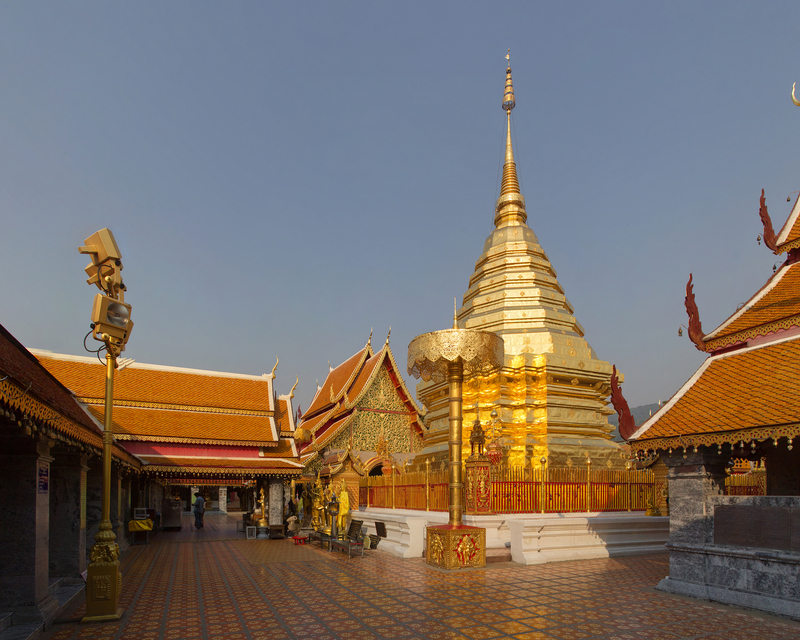 Arrange your visit to Wat Phra That Doi Suthep and discover more family-friendly attractions in Doi Suthep using our Doi Suthep visit planning site . Beautiful Temple absolutely not to get lost. A temple at the top of a mountain to get there is not simple, only way is a taxi because with public transport I think it takes too much time. To get to the temple there are many steps but in the end it is really worth it, you will be breathless. Very cool but also very crowded. Everyone is taking bowing pics which I thought was a little macabre but whatever. If you want to do the hike its about 2 hours and pretty difficult and steep so prepare accordingly. Bring water and bug spray and proper shoes! I don't really recommend it it's kind of a boring hike without many if any view points. I would recommend taking a taxi or driver to the top doing a little shopping and taxing back. Try to smoothies they are amazing! I got a strawberry, banana, avocado - they will let you mix and match. When you go into the Temple you need to wear clothes that cover your knees and shoulders. If you want to you can buy the cool elephant pants and shirts at one of the shops right outside. Enjoy! This was a wonderful visit. 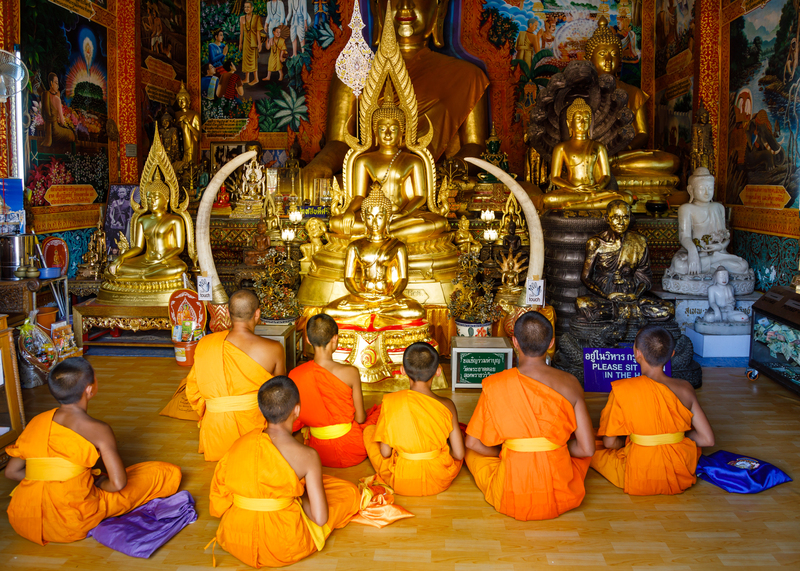 The temple is beautiful and I spoke to a few of the Monk's and they were very friendly and we're very happy to talk. We received a wonderful blessing work water and prayer. It was very nice.